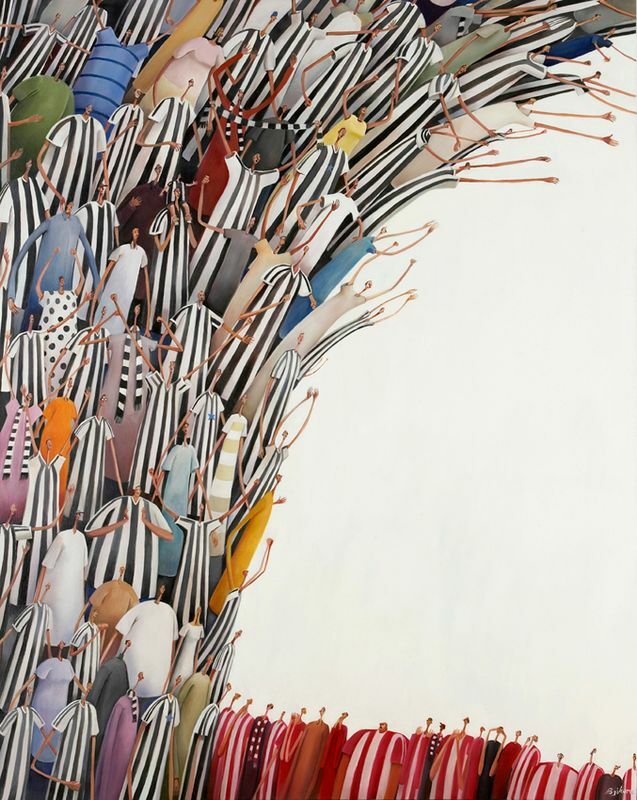 Toon Armi - print only by Sarah Jane Szikora // £175.00. Sarah Jane Szikora's hilarious take on the fans of Newcastle Football Club, affectionately known as the 'Toon Armi.' Rising up like a wave they seem to be looking down on the opposing team who are a lovely shade of pink and white. Yes you guessed right, it is 'Sunderland' and Szikora has depicted a very fluffy and charming North East derby! - filled with her stick-thin characters.